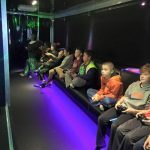 Central Coast families get ready for this Spring and Summer with a cool climate control Game Trailer party with today’s latest games and or get those little ones outside to enjoy the sun with an action packed Laser Tag party! Don’t forget to stop by and like our FB page so you can see the latest action and gamerific packed parties we have performed! 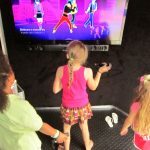 Our luxurious, limo-like 24-foot custom mobile video game theater comes right to you! 6 High-Definition screens and the best video games and consoles! Our Game Coach runs the fun while you relax…and your home stays clean! Birthday Parties, school events, fundraisers, team parties, holidays and family reunions…we do it all! We serve Santa Maria, San Luis Obispo and parts of Santa Barbary County from our Grover Beach location. 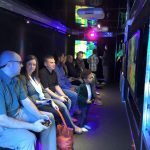 Book your video game party today!